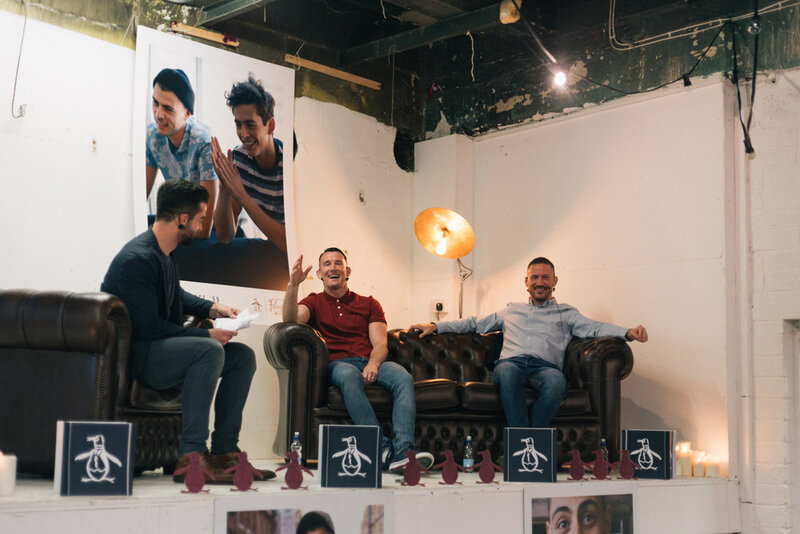 Original Penguin hosted a conversation with John Kavanagh & Owen Roddy – the world’s top coaching team. The event was to celebrate Original Penguin AW Collection with these two iconic pioneers, as they discussed style, The McGregor Mayweather fight, future fights, next steps and more with MC Mike Sheridan. The event took place at The Chocolate Factory, Dublin 1. The event saw fans of the brand and UFC fans alike join together for the interesting conversation. The event garnered huge media attention. Social media reach from the event was 1,691,054. "Overall reach hit well over 1.5 million"